The history of this gorgeous breed is interesting, and as many owners know, the location of this dog's history lends its name to the breed. Several small Terrier breeds combined to create the Yorkie breed. 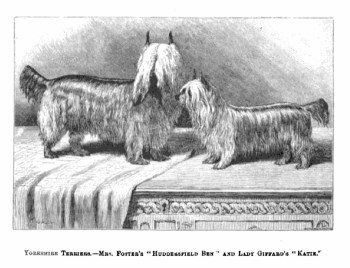 First known as the Broken Haired Scotch Terrier and then as the Toy Terrier, the Yorkie finally was given the official name as the Yorkshire Terrier in 1874. 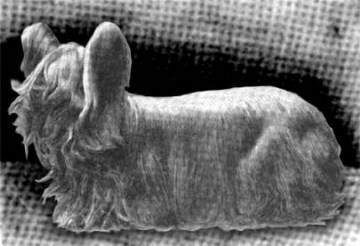 Beginning as hunting dogs for small vermin...to becoming one of the most popular Toy breed companion dogs...the Yorkie has had a long and unique history. The history of the Yorkshire Terrier begins in England...Yorkshire England to be exact...located in the north. Named for the region of England in which this dog Breed originated, the Yorkshire Terrier ancestors were a mix of many other types of the Terrier. In the mid 1800's, England was at the top of the Industrial Revolution. Many miners and mill worker from Scotland traveled to England looking for work. Many of those who travelled into England brought small Terrier dogs with them, then known as Broken Haired Scotch Terriers. 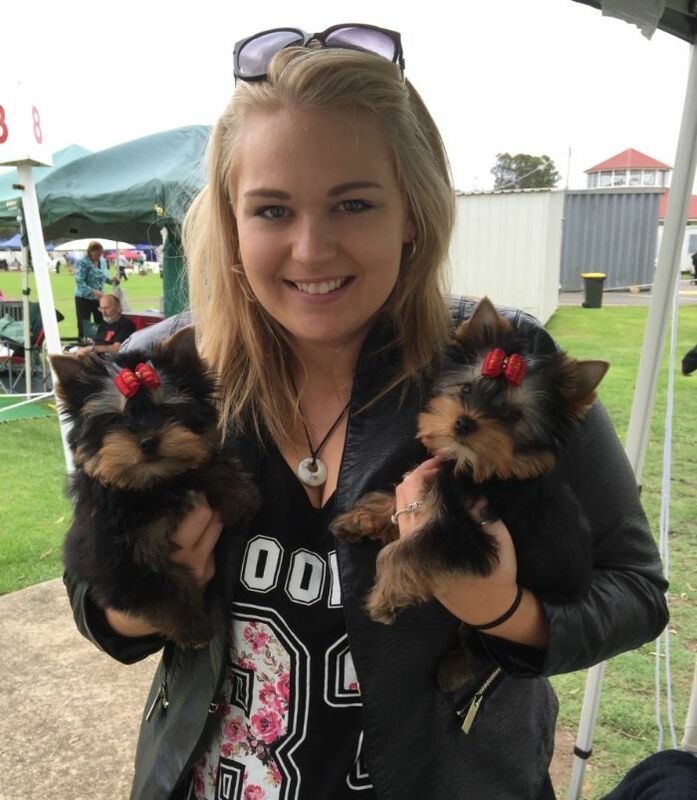 Which dog breed are the ancestors of the Yorkie? Mixed into the England Terrier, was the Waterside Terrier. It is common for people to know that the Yorkie was used as a Ratter (a dog that is sent to kill rats and vermin that hide in small places). The Yorkie used to be taken down into mines and into Mill buildings, to help the workers control the amount of rats there. However, the Yorkshire Terrier did much more than that. The Yorkie was very skilled at hunting down animals that lived in dens and burrows hidden on the forest floor. Hunters would carry the Yorkie in their pockets as they headed out to hunt for fox, badgers and other small to medium sized wild animals. When wild animals are trapped and cornered in their dens, they can become very aggressive to defend themselves and their young. Therefore, the Yorkshire Terrier became well known for their bravery and courage to go after their prey without hesitation; and to do so with much success. It seemed as if they truly found their calling out in the field and woodlands; but this would not last long. As word spread about how wonderful this dog was, his popularity slowly moved out from the forest and into homes of those whose interest was piqued by this silky haired dog. Huddersfield Ben is a famous Yorkshire Terrier. He is the foundation sire to the Yorkie breed. He was named after the town in which he was born, Huddersfield, in the country of Yorkshire England. This dog was owned by a man name M.A. Foster and became very well known after winning more than 70 dog show events and countless Ratter contests. Huddererfield Ben was the most sought after stud dog. While he himself was considered to be rather large (relatively) at 11 pounds, he was known to consistently produce litters of dogs that were under 5 pounds (2.26 kg) and dogs that fit the breed standard at the time. Ben passed in 1871 at the young age of 6. He had a huge impact on the development of the breed. A drawing of Huddersfield Ben from 1870. The Yorkie began being shown in England under the breed name of the Broken Haired Scotch Terrier in 1861. However, by 1874, the breed was given the official name of the Yorkshire Terrier. In 1872, this dog breed slowly began making its way into America. By 1878, the AKC officially registered the breed. It was during the Victorian Era that this dog changed over from a Hunting/ Ratting dog into a Companion dog. Royalty and the upper class societies in England began to embrace the breed for its unique appearance and small structure. During this time period, small dogs were considered to be of great value. As the breed became much sought after in England, it popularity carried over into America. During the 1940’s the popularity of the Yorkshire Terrier began to drop. Smoky was a famous dog from World War II. She was considered quite a hero as he served with the 5th Air Force in the Pacific. Her notable service brought this breed back into the mainstream. American William Wynne found Smoky in a shell hole near the Japanese lines in New Guinea. She did not understand commands given in English or Japanese. She became part of the troop, going on over 150 air raids and 12 sea missions. Her courage was great and she is hailed for surviving a treacherous typhoon at Okinawa. While serving with her American troops, she quickly learned amusing tricks which not only entertained the troops...but also enabled her to help the Signal Corps by carrying a telegraph wire through a 70-foot, eight-inch pipe. Smokey also jumped from a 30-foot tower with a parachute made just for her. After the War, Smokey spent her time visiting veterans' hospitals with her owner, William Wynne, the man who found her. 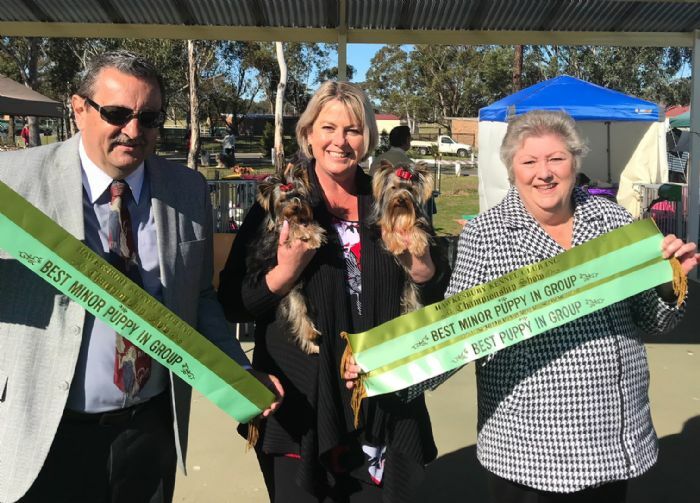 After generations spent in mills and a rich history of chasing down vermin in fields, the Yorkshire Terrier is ranked among the most popular toy sized breeds in many countries, including the US, the UK, Australia, Italy and parts of South Africa.